Ready to go back to school? To return to the dorms and the homework? Okay, maybe not. You can still enjoy cool college towns though. Just like the undergrads. You’re off to Athens, Georgia. But skip the fraternity houses this time. Located in northeastern Georgia, near the foothills of the Blue Ridge Mountains, Athens has Victorian homes and tree-lined streets. The city was built upon its cotton mills, its supply center during the American Civil War, and its university. That would be the University of Georgia, the oldest and the largest university in the Peach State. Classes are back in session, which means the Bulldogs are also back at Sanford Stadium. So you can either don your red-and-black jerseys and go tailgating or pick a weekend when the football team has an away game. Spend the morning at the State Botanical Garden of Georgia. The 313-acre garden has a heritage garden, an international garden, and five miles of trails. Prefer to spend the morning by the water? Go to Sandy Creek Park and follow the Lakeside Trail around Lake Chapman. When you get hungry, head into town and grab a courtyard table at the Last Resort Grill, which offers new takes on traditional Southern cuisine, like the fried green tomato sandwich. Move on to the Terrapin Beer Company to sample their Tree Hugger Ale or seasonal Pumpkinfest brew, and play Frisbee on the lawn. And then check out the Georgia Museum of Art, which has mostly American paintings, plus an outdoor sculpture garden. The evening brings you back downtown. 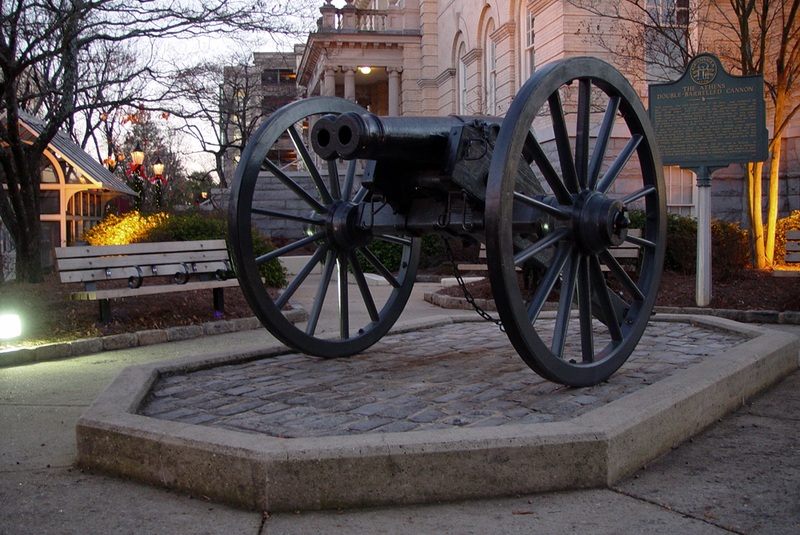 You’ll pass the double-barreled cannon–the only one in the world–outside of City Hall. Make sure you have a dinner reservation at Five & Ten. Hugh Acheson’s restaurant is known as one of the best restaurants in the South. Everything on the seasonal, sustainable menu–from the Carolina white shrimp to the sorghum-glazed pork ribs–is delicious. And if you’ve ever wanted to give sweetbreads a try, this is the place to do it. After dinner, it’s time to rock. 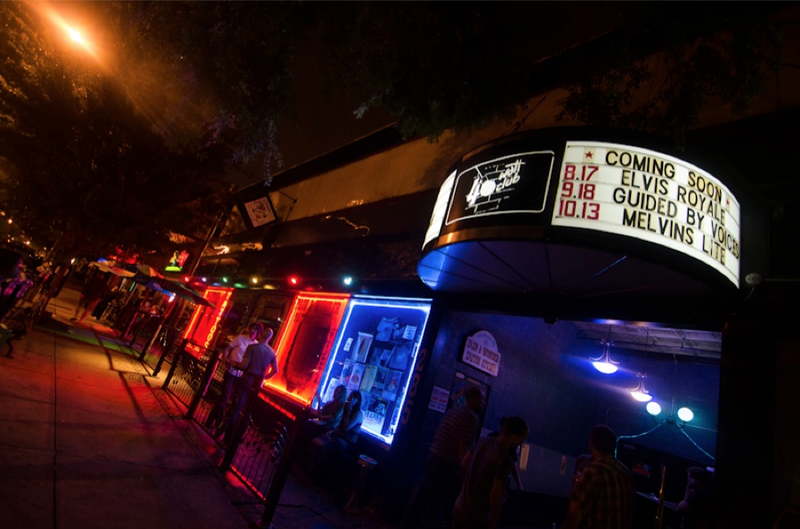 The 40 Watt Club is where a lot of big name bands–including R.E.M., the B-52s, the Indigo Girls, and Widespread Panic–got their starts. The intimate setting is ideal to check out up-and-coming bands. When the music ends, stop by the Globe for one last drink. They serve more than 150 different beers and 50 single-malt whiskeys. One drink just turned into at least two. You felt young, wild, and almost like a college kid again for the weekend. But it’s so much easier to enjoy all the town has to offer when you aren’t mooching off your parents.